Today we continue our firm profile series with a consulting company we know a lot about – Bain – and we’re talking about the insider-insider view. Following a year of globetrotting after undergrad, Jenny Rae joined the youngest of the MBB firms in their Atlanta office. So when we say we have a first-hand perspective – we mean it! We’ve got tons to say, so let’s go ahead and dive in. Bain & Co. was founded in 1973 by Bill Bain and 6 other BCG defectors. Their motto, “results not reports,” allowed them to move quickly from a small time player to competing at the top of the game. Bill Bain’s disruptive approach to consulting – essentially, investing in the outcomes of his work – was a core principle to his success. Whereas McKinsey or BCG would approach a client with, “Here’s the analysis we did and the reports to back it up, now go implement it and let’s hope it works,” Bain aligned his firm with the performance of this client, accepting equity in lieu of fixed fees. If the client performed well, Bain & Co. would be rewarded accordingly, and vice versa – if the client didn’t perform, no love for Bain! The firm still proudly has elements of this philosophy in their fee structure. Following a fruitful start in the late 70s and early 80s, including a tripling of staff from 1980 to 1986, the firm’s success slowed due to sluggish business conditions, increased competition, and internal infighting. To address the increasingly unstable situation, Bain & Co. was incorporated in 1985 and an Employee Stock Ownership Plan was established. This allowed the firm’s senior partners to begin borrowing against their equity for cash, and soon, debt began to squeeze the firm, eventually choking it into a state of emergency. Enter Mitt Romney. Romney joined Bain & Co. in 1977 after obtaining his MBA at Harvard. A few years later in 1984, Romney co-founded and led the spin-off Bain Capital, a completely separate company yet with close ties to Bain & Co. Needless to say, Romney was a smart guy who knew a thing or two about finances. So when Bain & Co. found itself under financial duress, they asked Romney to rejoin and lead Bain & Co. as interim CEO. Long story short, Romney turned the company around in a brief year and left a lasting impact on how the firm was to operate moving forward. In 1993 another milestone occurred. The head position at the firm, the CEO, was split into 2 roles – Worldwide Managing Director and Chairman of the Board. Bain’s current Chairman, Orit Gadiesh, was appointed in 1993 – the firm has known no other Chairman since the role was created. When the dotcom bubble burst, Bain managed the economic slowdown by investing in leadership, internal promotions, and key external hires. They weathered the storm, and by 2007 had expanded to 37 offices worldwide. The firm’s growth was facilitated by its evolution from a generalist approach, where it served only 1 client per industry, to an approach that allowed the firm to work with a broader range of clients. While Bain’s strategic hires have given the firm a much-needed boost to its profile, they still don’t have the depth of experience that McKinsey and BCG tout. So they use other measurements to attest to their expertise – like the famous 4:1 chart showing how Bain clients outperform the market by 4 times. The chart is literally presented at every recruiting presentation and in many internal meetings, as well as on key client pitches. Thanks to Romney’s 2012 presidential campaign which brought “Bain” to front and center stage, there’s some confusion about the history of the companies – Bain & Co. – the management consulting firm – and Bain Capital – the private equity firm. A lot of people don’t understand the difference. Part of what makes it confusing, apart from the name, is that Romney was a party to both. He joined Bain & Co. as a consultant back in the 70s, then co-founded a spin-off called Bain Capital with a few other guys in 1984. Then when Bain & Co. needed a financial facelift in the 90s, Romney came back as interim CEO to get them back on their feet. The two organizations are separate entities with no sharing of governance or ownership, but there are some ways they interact. For instance, as one of their perks, Partners at Bain & Co. have the option to invest in the funds that Bain Capital raises without adhering to standard minimum buy-ins. Normally, there would be an outrageous sum ($10M ballpark) required to buy into a fund like that, but Bain & Co. Partners get in just by being Bain Partners. And they can make a heck of a lot of money this way – 100%+ YOY returns were not uncommon in the mid 2000s. In addition, Bain & Co. does a lot of consulting work for Bain Capital. Let’s say Bain Capital is thinking about buying Starbucks. They might hire Bain & Co. to perform market research on the future state of the coffee market to inform the go/no-go decision and bid price. The company is headed not by a sole CEO, but by 2 positions – the Worldwide Managing Director and the Chairman of the Board. Below that, there are 3 Regional Managing Directors for the firm’s business regions – The Americas, Asia Pacific, and EMEA. After that, Bain’s organization is typical of the top consulting firms – they hire undergrads as Associate Consultants (ACs) who work for 2-3 years before exiting or pursuing an MBA. If you’re hired as an MBA, you enter as a Consultant and rise from there to Case Team Leader, Principal, then finally Partner (assuming all goes well.) It’s a typical up-or-out system, with more focus on the up. Bain used to utilize a 50-50 staffing model, where consultants were assigned to 2 projects at the same time. The idea was that staff would always be at least 50% utilized. In seasons of intense growth, however, the staffing model was unsustainable. Consulting utilizes a business model that promises clients 110% effort on any project, so when an Associate Consultant or Consultant became a shared resource between 2 Managers both expecting 100%, internal warring became inevitable. When the firm decided to move towards a 100% model – 1 project per AC or Consultant – everyone was happy. There are 2 areas that drive the majority of Bain’s business. More than 40 percent of Bain’s work involves major business/IT transformation, not too surprising in our technology-driven world today, but surprising in light of the fact that Bain rarely does implementation work related to IT—they are focused on the strategy and pass off implementation to other firms with lower per-month price points. Another 25 percent of the firm’s global business comes from private equity consulting, where the firm commits over 400 consultants to its clients. Interestingly, Bain’s private equity practice is more than 3 times larger than that of the next-largest consulting firm serving private equity funds. Because each office at Bain focuses on developing a core client base in its local/regional area, what you’ll work on as a consultant – both in terms of practice area and industry – is sometimes skewed towards the industries and clients represented in the region. Overall, Bain has 50 offices in 32 countries. The firm has mega offices in Boston, SF, and London with a growing presence in Europe, Asia, and SE Asia. In fact, they now have more offices in Europe than in any other region. Revenues from Continental Europe also exceed both the other regions. Currently, over half of the firm’s revenue comes from outside North America – witnessed by the growth in global offices after 2000. To give you an idea of their growth in just the last few years, Bain opened offices in Dubai, Frankfurt, Kyiv, and Moscow in 2007, Buenos Aires and Copenhagen in 2008, Oslo and Mumbai in 2009, Houston in 2010, Perth, Rio de Janeiro and Istanbul in 2011, and Warsaw in 2012. They also have a new pilot office in Washington, D.C.
As an undergrad, you’ll join the firm as an Associate Consultant and work towards the position of Senior Associate Consultant in your first 2 years. You’ll have access to great training and mentorship opportunities to help get you there. If you come in as an MBA grad, you join as a Consultant and from day 1 are trying to prove yourself as Manager material. Again, you’ll be provided with exceptional training material and help and encouragement along the way at Bain. Visit Join Bain for more career progressions. We’d be remiss if we didn’t share a very cool career development opportunity Bain provides its junior staff that other firms don’t: a 6-month externship period to try out another job, offered to ACs and Consultants after they’ve completed their first 2 years. You can spend 6 months at a Bain office abroad or do an externship at another company (e.g., work at a start up in Silicon Valley or a global auto company in China). If you’re not already in one of the mega-offices, you can also do a private equity rotation with Bain’s PEG (Private Equity Group) or with Bain’s non-profit arm, The Bridgespan Group. Of course, you have to return to Bain afterwards – but what a cool option, right? It’s intended to satisfy the desire top performers have to try out other cultures and roles, without closing the door to return to Bain. And even if the return weren’t mandated, most return willingly – happy to get back to the high compensation, fast pace and fun colleagues Bain boasts. Read enough to know you want to be a Bainee? A Bain alum doesn’t have quite the same street cred as a McKinsey alum, but the opportunities after exiting are similar. One thing that’s a little different with Bain – a lot of Bainees are hired by private equity firms when they decide to leave the firm. Those with PE experience are especially sought after. You also have access to opportunities that are available within the rest of the company, especially if you’re in a mega location. You can explore the firm’s non-profit branch, The Bridgespan Group, for example, or non-client-facing roles within the firm, like marketing, HR, or recruiting. Jeffrey Zients, Chief Performance Office, Executive Office of the President of the U.S. So what’s it like to be “Bainees”? Well, the fact that the firm has a band (The Bain Band) that makes up its own lyrics to perform songs like Sweet Child of Mine and Brown Eyed Girl at corporate events should tell you something (use the links to watch!). Without a doubt, Bain is known as the “frattiest” of the top 3 firms. They know how to enjoy a beer in the office on Fridays—and while this is essential to recruiting success, the firm has had to become more formal in the past 10 years to avoid losing its mystique and prestige. Local office culture is a huge draw at Bain. Connectivity, camaraderie, and conviction are common themes that draw new recruits to the firm – many cross-offers select Bain because they just end up loving the people they meet. The local office is so core, in fact, that Bainees are less connected across the globe. Enter events like “Bain World Cup”—a weekend-long soccer tournament in the fall that is characterized by plenty of booze, lots of dancing and a bit of the world’s favorite pastime. Bainees are creative, entrepreneurial, and quirky. They naturally think outside the box and they’re willing to risk everything—a core trait demonstrated by Bain’s near-failure followed by its rapid rise to the top and continued global expansion. In fact, we hired a guy wearing pink seersucker in his interview, just going to prove that Bainee clothes are even more colorful than a typical McKinsey-ite or BCG-er (obviously, he was instructed to put the outfit away before his first client interaction!). Bain’s logo, the compass, celebrates the firm’s “true north” philosophy. “True North is our focus on client results—even when it means recommending actions that senior management might not want to hear.” Whereas the large consulting houses who dominated the scene before Bain seemed to justify decisions that had already been made – like supporting a CEO’s opinion in front of the BOD – Bain started telling people what needed to happen, even if it wasn’t what the client wanted to hear. The firm’s value of authenticity is fundamental to their success and their rise to compete successfully with the entrenched McKinsey and BCG. They screen for it in interviews with out-of-the-blue, curve ball questions. They pressure test you – not to see if you’re able to handle the pressure, but to see if you really believe what you’re saying. Travel with Bain runs on a 4-days-a-week schedule with Fridays in the home office. Because Bain has a local staffing model – each office develops a core client base in its local/regional area. Even more importantly, you’re always staffed on teams from your local office. You travel less than you would with, let’s say, Deloitte. You won’t need to travel half-way around the world to meet up with your team or work for the client – at Bain, much of your work can be done from the office. If you want to travel every week, you may or may not get that opportunity at Bain. If you’re getting into consulting because you want to see the world, Bain might not be your #1 option—although you’ll still have plenty of opportunities to see glorious places from Pascagoula, MS to Milan on the company dime. Click to see how our team can help you get there. Interviewing at Bain is fairly straightforward. First round usually consists of 2 interviews. Second round will have 2-3 total interviews. Bain generally doesn’t do any screening round interviews like the PST at McKinsey, unless they’re testing for English proficiency in non-U.S. offices. At the advanced degree level, Bain hires almost exclusively from top-20 MBA programs. The exception is the odd JD or JD/MBA – they do look at a select few top 10 programs in U.S., but the positions that are open to those schools are very competitive and require as much or more business understanding as the MBA roles do. Bain hosts informational sessions at Bain target schools – key opportunities for face-time with recruiters and consultants. Get your resume ready before you go – there’s nothing worse than showing up unpolished or unprepared. Bain publishes names of their recruiters on their websites, so they’re easy to find and easy to contact. However, contrary to Deloitte, getting in good with a recruiter won’t help your application at Bain. Recruiters ARE great resources, however. They can tell you how things work and everything you need to know about recruiting timing. 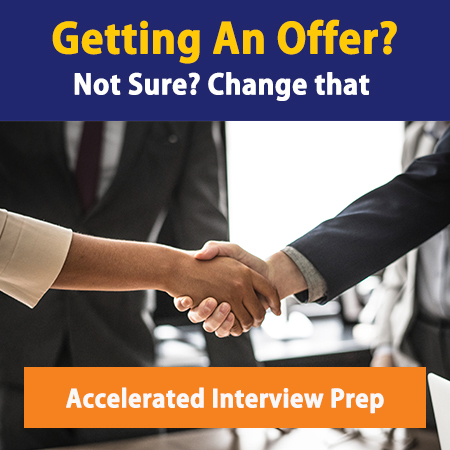 If you’re a high potential candidate, they can even connect you with someone to talk to at the firm. Attend your school’s career events – fairs, interview days, coffee chats, etc. – and introduce yourself. Make sure you’re prepared with a polished resume and cover letter. Contact a member of a Bain diversity group that you are interested in (more on diversity groups below). Apply for a Bain internship. Meet consultants on the job and set yourself up for a return offer. You went to a target school but took a year off to travel the world or do something else super interesting. You can apply through your school’s office during regular recruiting cycle, even though you’ve already graduated. You have experience with a global Fortune 100 company. Are you an undergrad, MBA or intern who’s interested in working at Bain & Company, but you don’t know how much you’ll make? Check out our latest Management Consulting Salaries post to find out! Vault ranked Bain #1 Best Consulting Firm for Diversity, based on how consultants scored the diversity of their own firms with respect to women, minorities and LGBT. Now that’s saying something. We’ll wrap up with some quick links to all the Bain articles on the MC site, as well as Twitter handles, key reading for Bainees and Bainees-to-be, and more. Enjoy!